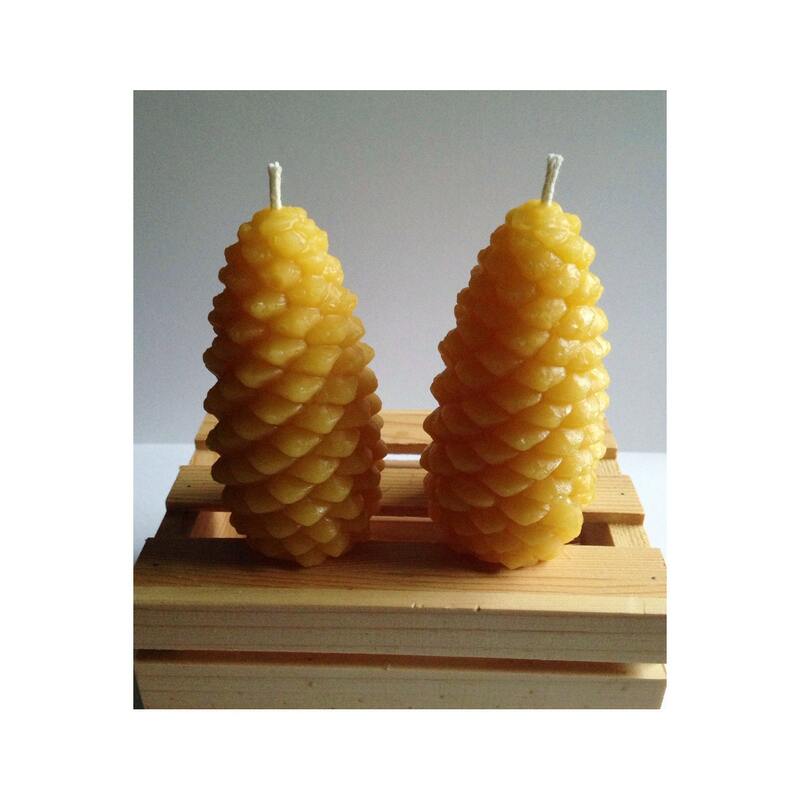 Pinecone candles shown in Natural Yellow. See other photos for more colors. Be sure to select ONE color at checkout. I ordered 7 candles from this shop, and they are exceptional! 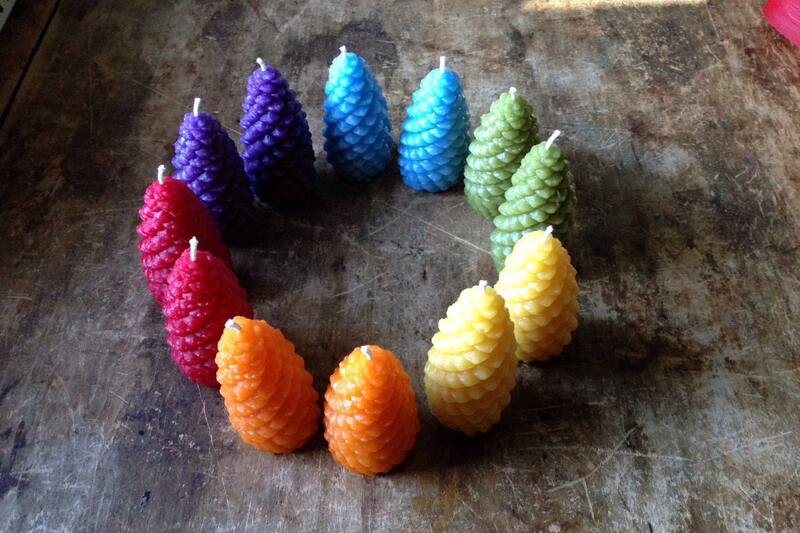 The custom colors I requested are perfect, and the candles have a pleasant, natural scent. I definitely will be ordering more! It's an nteresting gift idea. These are adorable! They are the perfect fall decoration. Thanks so much! Perfectly made, as described. Beautiful natural color. I can't rave enough about how truly fabulous these candles are. Such wonderful delicate detail and so beautifully crafted. I gave this set as a gift, but will definitely be buying some for myself. They were shipped out right away, carefully packaged, and arrived super fast given how back logged the postal system gets this time of year! I'm a huge fan of lizzybirdshop, and highly recommend her stunning candles!